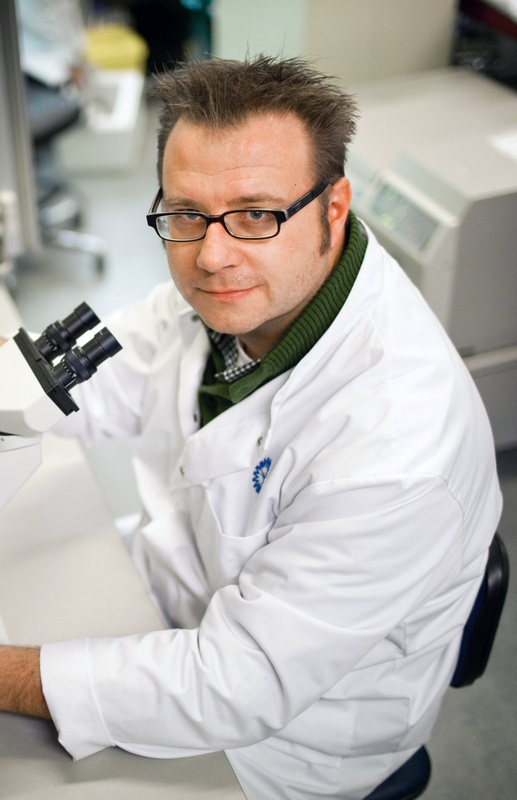 Dr. Simon C. Mastbergen is associate professor at the department Rheumatology & Clinical Immunology of the University Medical Center Utrecht, The Netherlands and affiliated with the Regenerative Medicine Center Utrecht.He studied Medical Biology and obtained his PhD in 2005. He has a strong interest in translational rheumatology research with a focus on osteoarthritis. Central theme of his research is modulation of cartilage, synovium, and bone to prevent and when possible cure joint damage. Within this theme he is involved in several research lines including “causes of development and progression of osteoarthritis”, “effects NSAIDS and DMOADS in treatment of osteoarthritis”, and “Joint distraction in treatment of severe osteoarthritis”. Our work focuses on tissue-regeneration in joint diseases, especially osteoarthritis though not limited to. Important highlights in our work are the development and validation of a unique canine osteoarthritis model, the ‘Groove-model’. More recently, we have extended this model towards the rat. Moreover, our group was the first to use joint distraction in treatment for severe OA. With this surgical technique we could demonstrate that intrinsic cartilage repair is possible, for a long time considered impossible. Simultaneously, we started studies on joint distraction of the knee in the Groove-model to understand the repair process in more detail. Additionally, we start the development of a whole-joint bio-mechano-reactor, currently at the level of a working prototype, enabling evaluation of many different pathways in the osteoarthritis process. In parallel, we are currently working on the role of fusion-proteins as treatment for OA including pain-pathways, another important aspect of the disease. Important partners within our work are the orthopedic department, the VanCreveld Clinic, the Veterinary department and the Laboratory of Translational Immunology. Within these research lines we push for innovation and translation to the clinic as indicated by the involvement of several IP-protected innovations and set-up of a spin-off company. de Visser HM, Weinans H, Coeleveld K, van Rijen MH, Lafeber FP, Mastbergen SC. The groove model of tibia-femoral osteoarthritis in the rat. J Orthop Res. 2016. Baboolal TG, Mastbergen SC, Jones E, Calder SJ, Lafeber FP, McGonagle D. Synovial fluid hyaluronan mediates MSC attachment to cartilage, a potential novel mechanism contributing to cartilage repair in osteoarthritis using knee joint distraction. Ann Rheum Dis. 2016;75(5):908-15.
van Vulpen LF, Schutgens RE, Coeleveld K, Alsema EC, Roosendaal G, Mastbergen SC, et al. IL-1beta, in contrast to TNFalpha, is pivotal in blood-induced cartilage damage and is a potential target for therapy. Blood. 2015;126(19):2239-46. Wiegant K, van Roermund PM, Intema F, Cotofana S, Eckstein F, Mastbergen SC, et al. Sustained clinical and structural benefit after joint distraction in the treatment of severe knee osteoarthritis. Osteoarthritis Cartilage. 2013;21(11):1660-7. Mastbergen SC, Saris DB, Lafeber FP. Functional articular cartilage repair: here, near, or is the best approach not yet clear? Nat Rev Rheumatol. 2013;9(5):277-90.